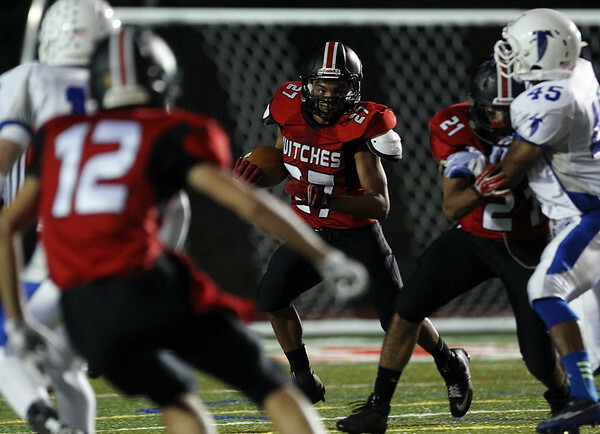 Salem junior Javier Robles (27) looks for running room against Danvers on Friday evening. DAVID LE/Staff photo. 10/17/14.